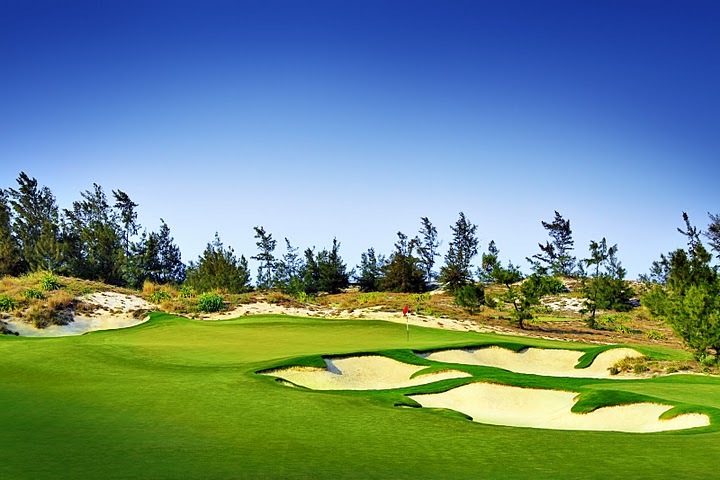 BRG Da Nang Golf Resort (Danang Golf Club) opened in 2010 and immediately leaped to fame being recognized as one of the 15 best new courses in the world by USA GOLF magazine. 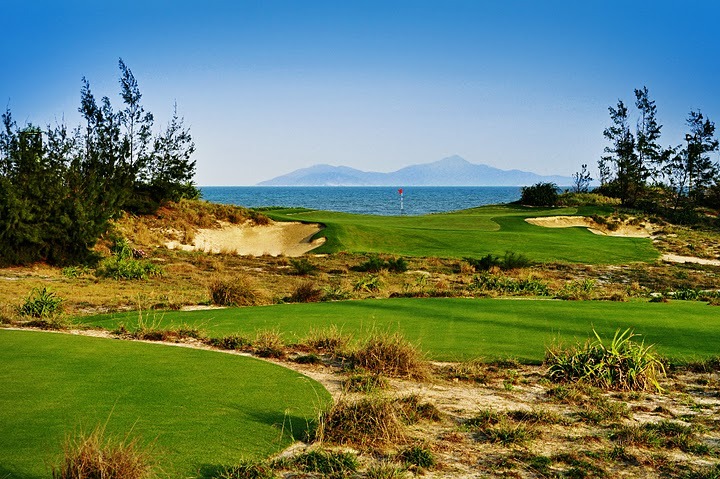 Da Nang Golf Resort has achieved many awards, amongst them 2011, 2012, 2013 best golf course in Asia by the readers of Asian Golf Monthly as well as the 2012 Best Golf Course in Vietnam by USA Golf Digest and the 2014 IAGTO Diamond Award. 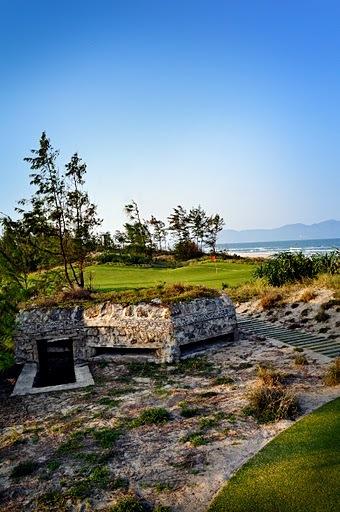 2018 saw the opening of the Nicklaus Course at BRG Danang. 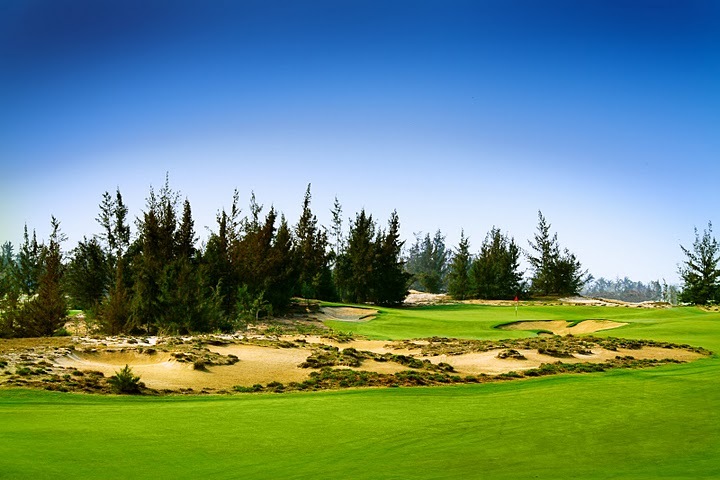 The Norman designed Dunes Course uses the sandy loam soil of Danang Beach, a place with more history than golf. 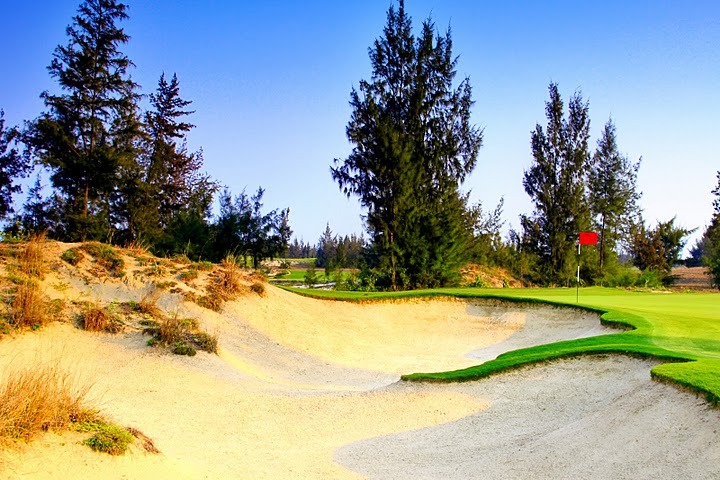 The Vietnam golf club is located directly on the beach that the American’s used for their first landing and adjacent to the American’s central supply depot and airfield used during the conflict of the 1960’s. Here on Vietnam’s central coast, one finds a seaside landscape almost identical to the land of the world’s first courses. The links-style golf experience was crafted as much by Mother Nature as it was by any golf architect. 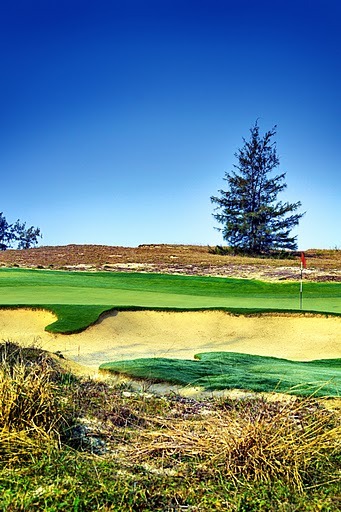 This Danang golf course is a unique golf challenge that every golfer will enjoy. Fairways are generous, and there is a restrained use of water and no out-of-bounds. Sculpted bunkering, shaped putting greens, and abundant natural waste areas have been cut directly from the surrounding dunes. Scoring well requires that shots are carefully placed to give players a chance to go for the pins on the undulating greens. The fairways are also lined and well defined by long needle pines, so miss into the trees and it&apos;s a forced punch off the sand and pine needles along a safe line to get back into play. More so than other areas of Vietnam, the wind can play be a significant factor on the Vietnam coast. For example, the par-3 16th hole is back-dropped by the South China Sea and often plays into a stiff headwind, making club selection very tricky. The wind when combined with the firm and fast greens, can toughen up the course considerably. 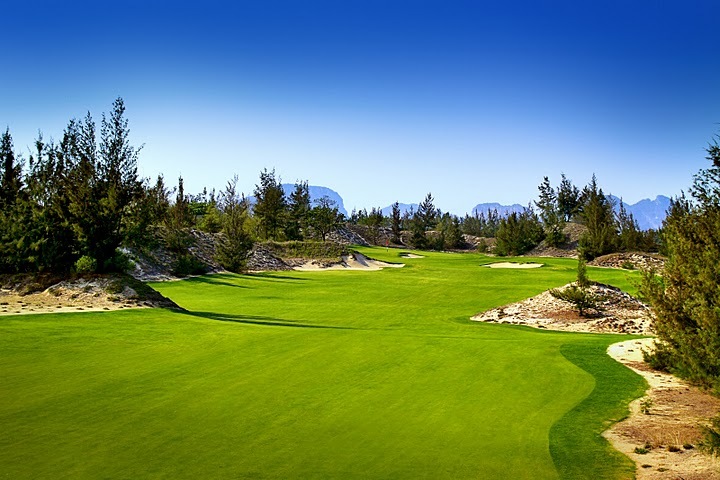 Golfers accustomed to links-style golf have an advantage due to the options afforded by the soil and turf conditions that enable low running bump and runs and putting from well off the greens. Creative shot-making comes in handy on this course. 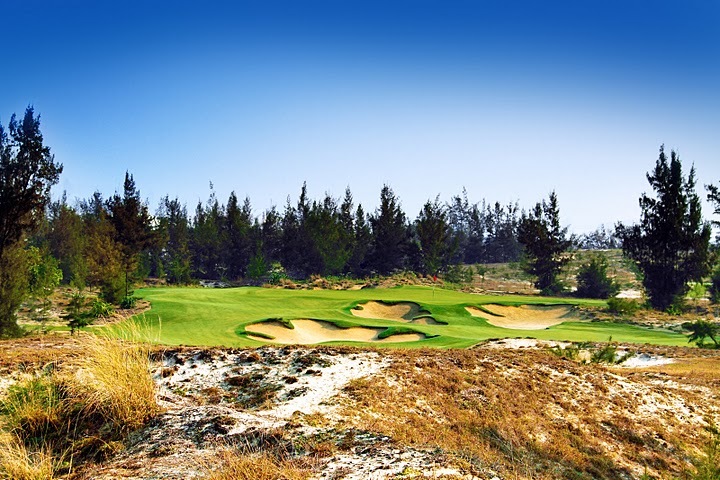 Reminiscent of both Scottish links golf and Australia sand-belt courses, Australia&apos;s Great White Shark Norman has created something unique in Vietnam. In 2018, the Nicklaus designed course added to the breadth of golf on offer at BRG Danang. Wooden walls frame most of the holes and separate the greens from the surrounding artificial lakes. 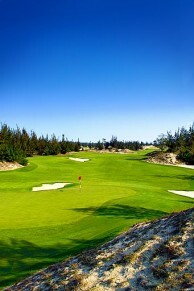 While not as unique as the Norman Course, the Nicklaus Course still ranks highly and offers a good test of golf and is maintained in similar conditions. 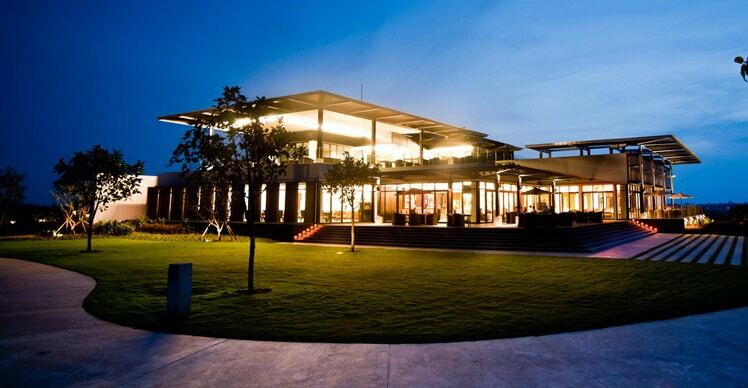 The 4,000 square meter clubhouse and 300 yard driving range echoes the course with first class standards and service. Food offerings are some of the best in Danang and taking in a Vietnam sunset on the rooftop lounge makes for an excellent way to reminisce about your round and plan your next Vietnam golf outing. 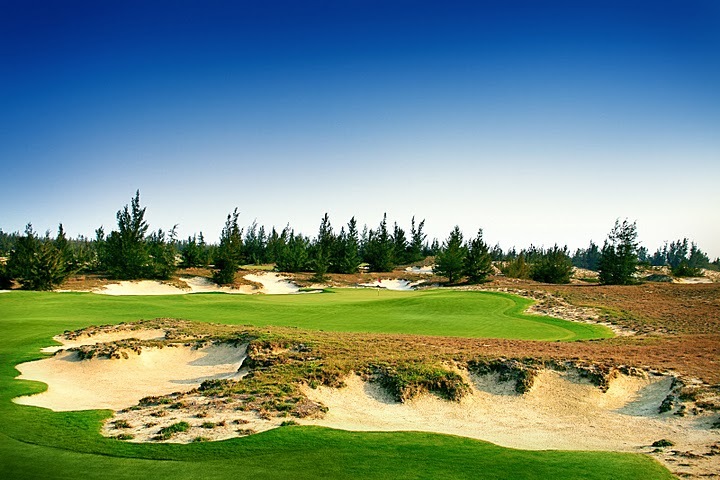 This course is a member of the Golf Coast Vietnam. Have you played golf at the BRG Da Nang Golf Resort and took some nice photos that you would like to share with other golfers? Send them to us and we may upload them here. Thank you in advance! 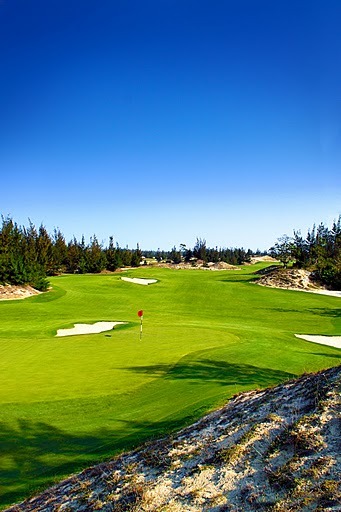 Beautiful course looks really natural against the seaside sandy environment. 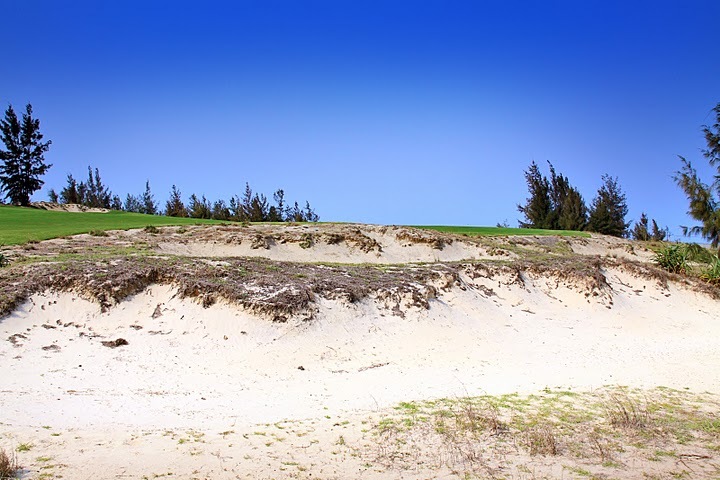 Typically Norman challenge, stray off the fairway and you will be in sand or worse! Prevailing winds on the 16th alters club selection - awesome hole! Facilities are good quality, 2 kiosks / 9. Greens are lightning fast - I had real problems. Bit exy but you need to play this course. Also try Montgomery. Wow! Great new course. Excellent now but will be even better as it matures. Gives you many options for shotmaking. Should be fun for all golfers.